The meeting was attended by National Security Advisor Ajit Doval among others. 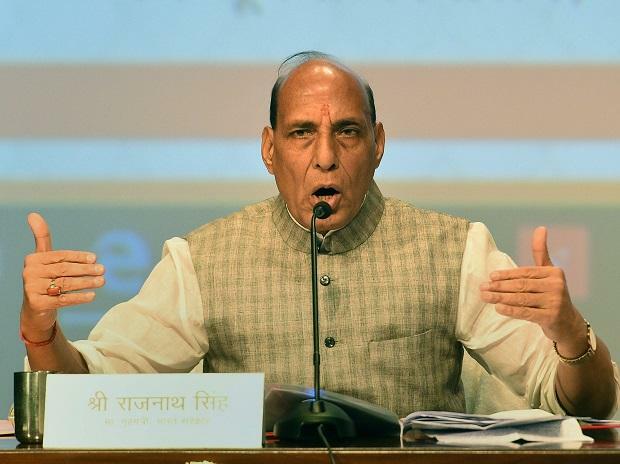 Home Minister Rajnath Singh Saturday reviewed the security situation in the country, particularly in Jammu and Kashmir, two days after the killing of 40 CRPF jawans in an audacious terror attack in Pulwama, officials said. During the meeting, top security officials briefed the home minister about the prevailing situation in the country, including along the Indo-Pak border, a Home Ministry official said. The meeting took stock of the security measures in place to foil any design of the Pak-based terrorist groups to disturb peace in Jammu and Kashmir as well as in hinterlands, the official said. The home minister directed the officials to ensure that all possible steps are taken to hunt down terrorists currently operating in Kashmir valley, another official said. Those who attended the meeting include Union Home Secretary Ajit Doval and Director of Intelligence Bureau Rajiv Jain. Forty CRPF personnel were killed and five injured in one of the deadliest terror attacks in Jammu and Kashmir on Thursday, by a Jaish-e-Mohammed suicide bomber in South Kashmir's Pulwama district. Massive protests and candlelight marches were held on Friday in different parts of the country against the attack and curfew was imposed in Jammu city following violence during demonstrations there.